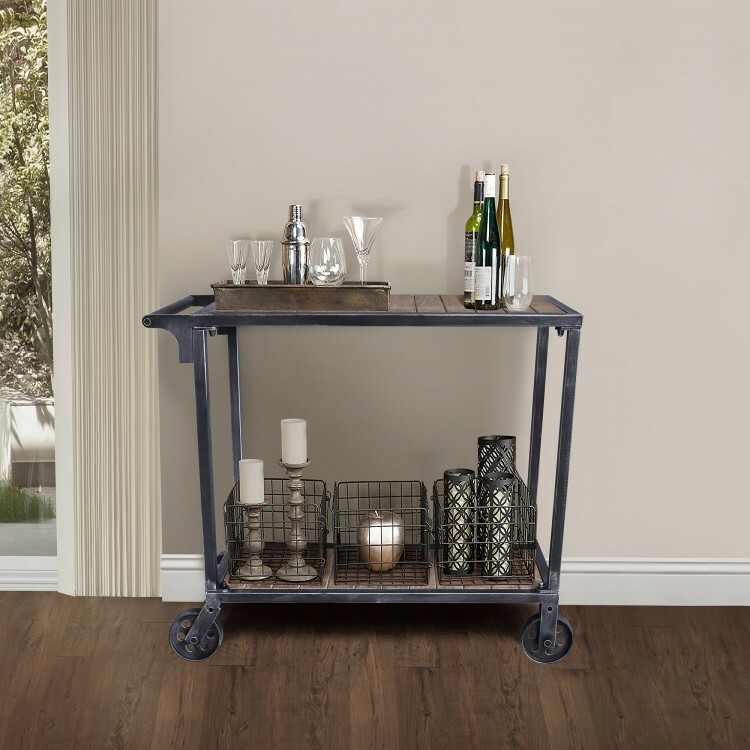 The Armen Living Moka industrial multi-purpose cart is an excellent addition to any contemporary household. 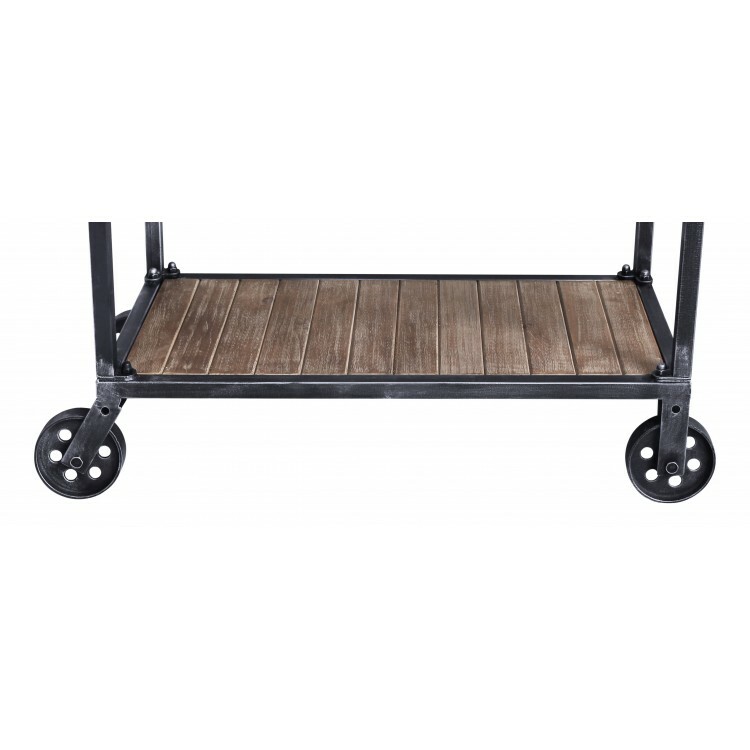 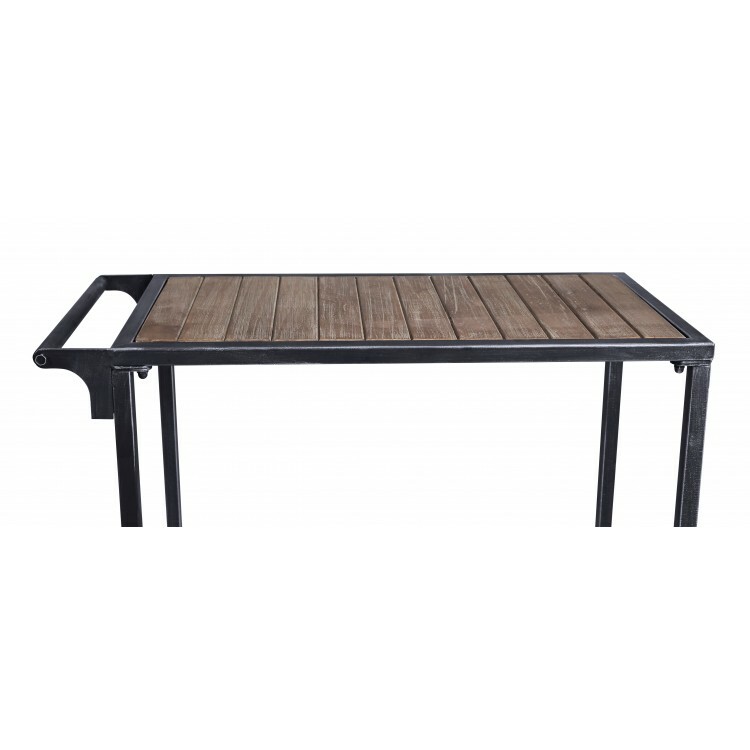 The Moka features a durable Industrial Grey metal frame complemented perfectly by rustic pine wood paneled top and lower shelves. 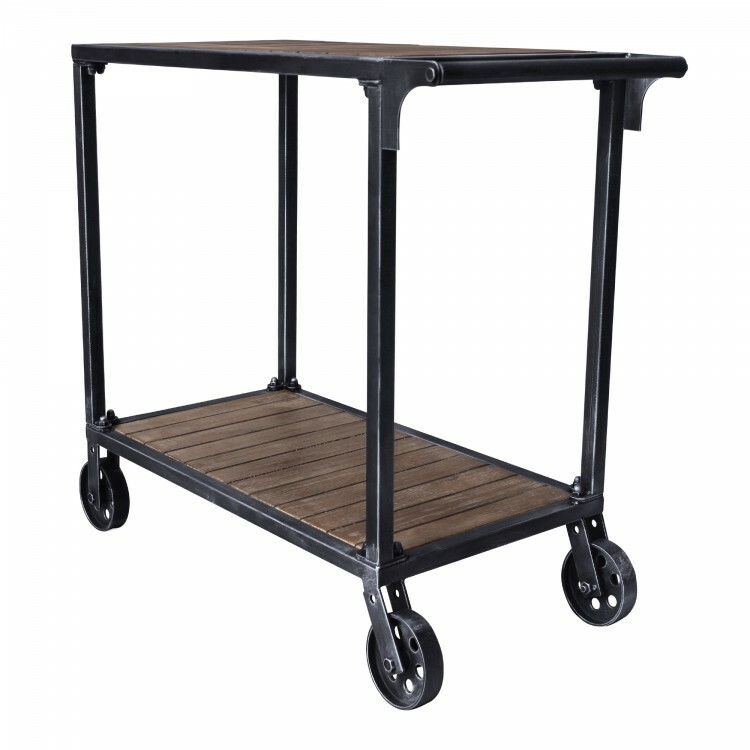 The Moka’s convenient handle and smooth wheels allow for ease of transportation around the home. 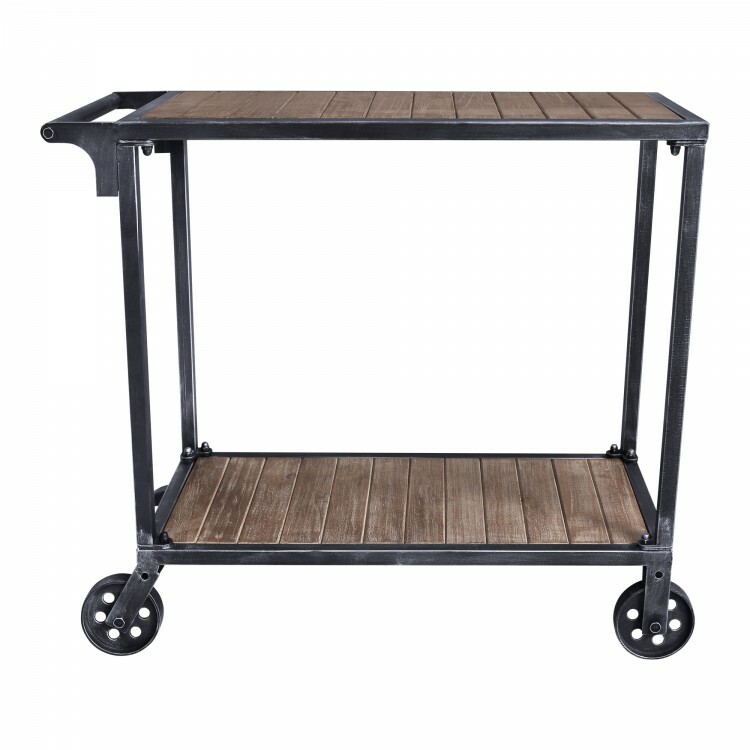 Perfect as a mobile dessert tray or workbench, the Moka’s practical design assures versatility without compromising on function or style. 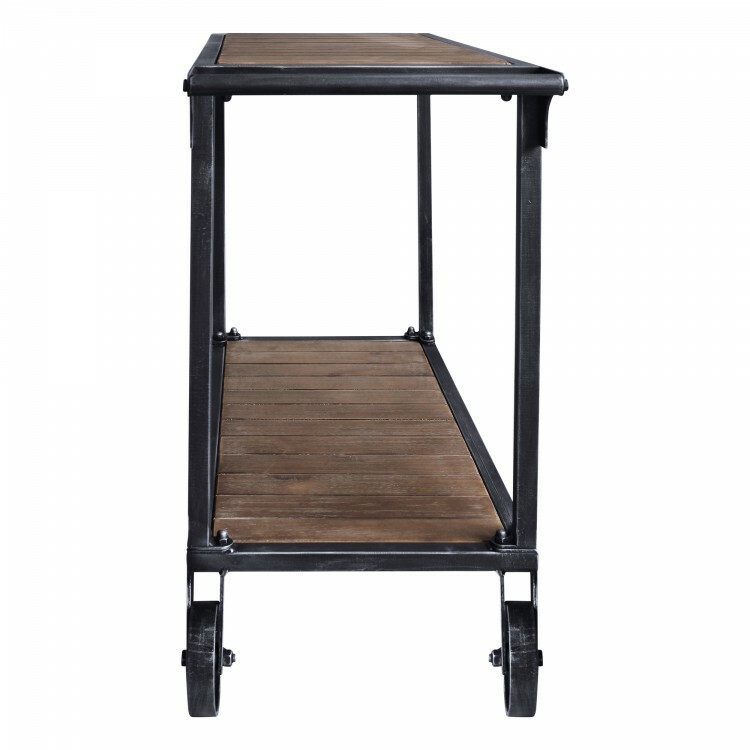 The wheels come with an easy to use locking mechanism, allowing the cart to remain stationary when needed. The stylish Moka is perfect for any room of the house.